Jordan’s Crown Prince Al Hussein bin Abdullah II announced on Monday, December 3, the launch of the first Jordanian satellite into space, as part of the Masar initiative by the Crown Prince Foundation. The satellite was named in memory of His Majesty the late King Hussein, who held the call sign of JY1. JY1 was built by 19 Jordanian students, academics and consultants, who explored satellite engineering and related knowledge, and developed their skills in aviation and space science through an intensive program over a period of 10 weeks, under the supervision of NASA experts. The satellite aims to carry out research and academic tasks, as well as take and publish promotional pictures of Jordan’s historical and folkloric sites. 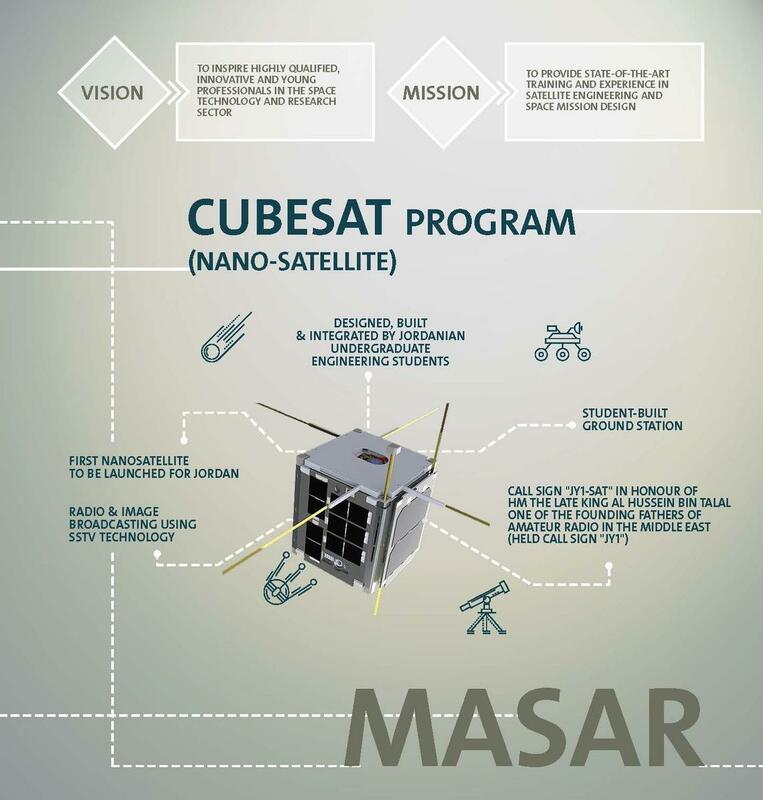 The nano cube satellite will fly over Jordan and take SSTV images and various data of the Kingdom, and the information it releases will be available to everyone via two platforms: a mobile application for amateur use, and a more advanced desktop software for the pros.